Storage, Locks, Boxes…We Got This! Pack it, park it, store it with us here at Pack Rat Storage! Doing storage since 2004, our locally owned and operated mini self storage facility continues to provide the affordable self storage units our Whitehouse neighbors seek from storage. From the welcoming smile of our storage professionals to our clean air conditioned storage units, your belongings will find a secure, convenient self storage place here instead of being underfoot at your home or office. Whether you’re looking for personal storage or business storage, we have the storage solutions you need. Our location is convenient with access from Main Street. 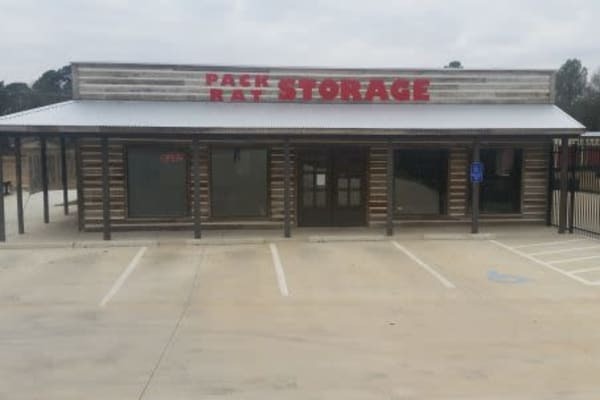 Our state-of-the-art self-storage facility sits conveniently at the corner of FM 346/W Main St and Maji Rd in Whitehouse offers business and personal storage. We can be reached easily from any community in Smith and Tyler County, you’ll find us within 4 miles of the junction of TX-49 and TX-110. That also means that our mini storage is ideally located as a jumping off point for your next adventure, whether by highway, byway, or waterway. And our truck-wide lanes have access from a main road making maneuvering even the largest truck look like a cakewalk. No deposits are required at Pack Rat Storage. Move in and out on your timetable and take advantage of our online self-storage bill pay and Auto-Pay options to suit your bookkeeping convenience. We also invite you to take advantage of our mini storage experts, We have on hand for consultation available for our customers six days a week and ready with a smile and an answer every time. For the best prices and service in town, look no further. Come see for yourself how easy life can be with Pack Rat Storage on your side. Rent or reserve affordable household storage today!